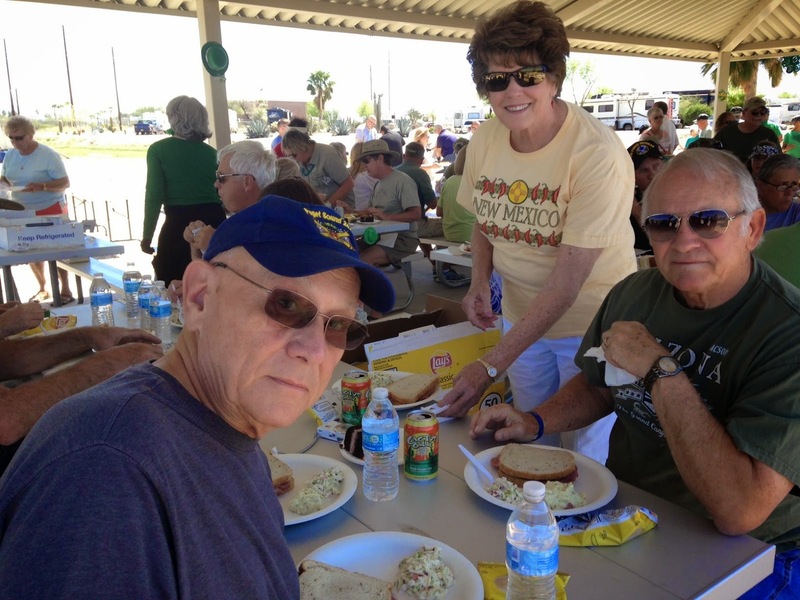 We met Connie and Ken at the picnic shelter for the Freedom RV St Patrick's lunch campground get together. I am so glad we finally after 3 years have reconnected. Fortunately we have kept in touch via email. They are a fun couple and we enjoy their company. In the evening we decided to go to one of our favorite places, Culver's, for dinner. More great conversation and laughs. We will be leaving around the same time and look forward to more get togethers. In fact getting together at our site on Saturday for dinner and on Wednesday a group is going for what they call date night to Pocos and Mamas for dinner.